The expose is based on documents, obtained under British Freedom of Information laws, which have been obtained by the campaign organisation, Culture Unstained, part of the ArtNotOil Coalition, which campaigns to kick fossil fuel money out of the arts. 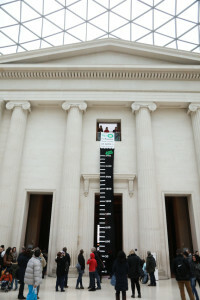 The campaign group is particularly critical of BP’s ongoing sponsorship of the British Museum in the UK. The British Government’s hypocrisy is evident in the fact that despite taking a strong public line on Russia, the UK government has been helping BP water down US sanctions and hosting events to boost UK ties with Russian oil and gas sector. Over a period of several months, the documents outline how BP had numerous meetings with British government ministers and embassy staff, with British Ministers repeatedly offering support for BP’s business in Russia. For example, in February 2017, the British Embassy in Russia hosted a ‘Seminar on Vocation and Professional Education in the Oil and Gas Sector’. It was designed to strengthen collaboration on “UK and Russia education companies, schools and universities in one of the key industries – oil and gas”. The President of BP Russia, David Campbell, gave the opening remarks at the event. Two months later, the Department for International Trade hosted a workshop on “How to break into the Russian Oil & Gas Sector”. It highlighted that: “Maintaining oil & gas production requires large scale use of new technologies, which largely are not restricted by sanctions’, and offered ‘Presentations by legal advisers about sanctions”. Meanwhile, in June 2017, when new US Sanctions on Russia were being proposed, BP and other oil companies started mobilising against the US bill. Within days, the British Embassy in Russia emailed BP to discuss “what this could mean for UK interests”. Of particular concern was BP’s 19.75% stake in Russian state oil company, Rosneft. That same month, in a meeting with the British trade minister, Greg Hands, in June 2017, the documents suggest BP appears to have been attempting to work around sanctions to gain approval for an unconventional shale oil project. BP was waiting for a license that “In the company’s view… turns on the definition of shale”. EU sanctions had aimed to prevent European companies helping Russian companies extract unconventional oil, by ruling out oil “located in shale formations by way of hydraulic fracturing”. Within months, according to Culture Unstained, BP’s lobbying effort against US sanctions “seems to have been successful”. 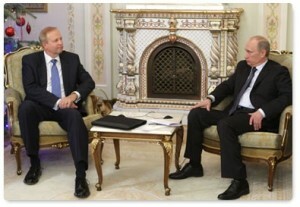 On 2 August, BP CEO Bob Dudley told market analysts that the original draft of the sanctions bill had been full of “‘very significant unintended consequences’ but now the company was not “aware of any material adverse effect on our current income and investment in Russia or elsewhere, or our ability to work with Rosneft itself”. Meanwhile yesterday afternoon, activists from the group, BP or not BP? 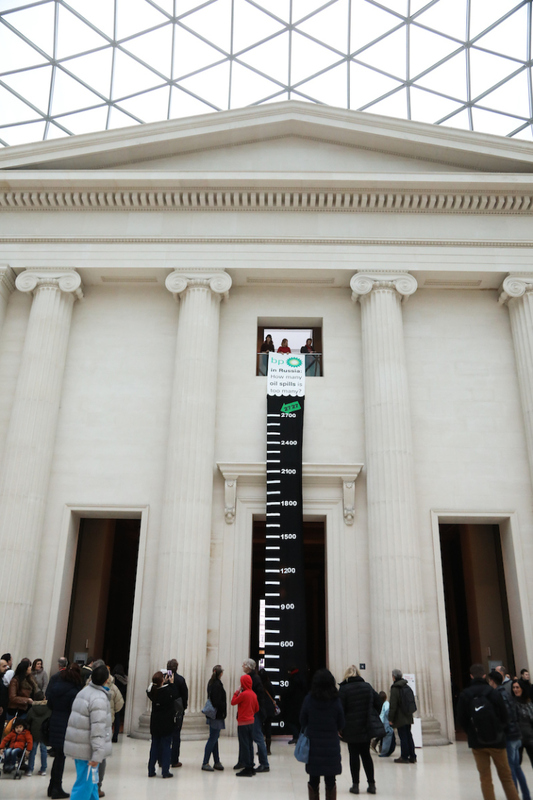 dropped an eleven-metre floor-to-balcony banner refelcting the 2,727 oil spills caused by BP’s Russian partner, Rosneft, in a single region in just one year in the British Museum. Performers then showered thousands of paper “oil drops” from balcony in the iconic Great Court to protest against the final day of the BP-sponsored Scythians exhibition, held in partnership with the Russian State Hermitage Museum.